MICHEÁL MARTIN HAS welcomed the defection of a Labour Party councillor in Meath to Fianna Fáil. 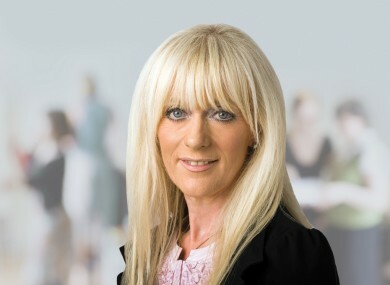 Jenny McHugh, who sits on Meath County Council, has resigned from the Labour Party and joined a party which she says most closely shares her values having become disillusioned with life in the junior coalition partner. The school principal and mother-of-seven said: “I became involved in politics because I had a passion for the education of our young people and a commitment to fairness in public policy. Martin said he welcomed McHugh to his party which he said was providing “constructive opposition and real alternatives”. “Jenny is a hard-working and energetic councillor with deep roots in her community and a strong commitment to education and social justice,” Martin said. McHugh’s profile on the Labour Party website has been removed this afternoon. A Labour spokesperson said that the defection was “regrettable”. McHugh is the latest councillor to quit the Labour Party with three leaving last month over the party’s position on two separate issues. Chairman of Wicklow County Council Tom Fortune and Wicklow county councillor Barry Nevin resigned from the party after failing to secure a meeting with party leader Eamon Gilmore. Meanwhile, Galway councillor Shaun Cunniffe quit the party over its decision to legislate for the X Case judgment. Email “Micheál Martin welcomes Labour councillor's defection to Fianna Fáil ”. Feedback on “Micheál Martin welcomes Labour councillor's defection to Fianna Fáil ”.